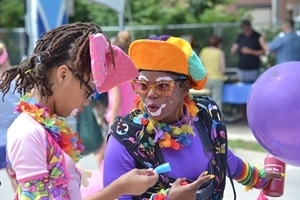 Description Glenview’s Summer Fest—scheduled for June 27 this year—has morphed again, with fantastic new features, alongside lots of family favorites. Grown-ups may remember Summer Fest from the days when it was a feisty sidewalk sale with bargains on classic wares lining Glenview Road. But children are likely to remember family activities, free treats, and street performers. This year’s fairgoers will find the classics, great sales on crafts and wares, tasty grilled favorites and lots of sweet things, plus of course, Jason the Stiltwalker. Add Summer Fest to your free online travel itinerary.